April 5, 2018, 6 a.m. In many smaller markets, it’s local TV stations’ websites — not newspapers’ sites! — that are the dominant digital local news source. By Laura Hazard Owen @laurahazardowen April 5, 2018, 6 a.m.
Local TV news does not feel exciting. It feels old-fashioned, and there’s plenty of research to support that viewpoint: The percentage of Americans that gets news from TV is decreasing, Pew shows, and those who do get news there are old. My age bracket associates local TV news primarily with the Will Ferrell film Anchorman. Younger people may find it even less relevant. “When I say ‘television,’ people just think of a television program,” Karen Rundlet, Knight’s director of journalism, told me. “They don’t think: This station has a website and that website is the community’s No. 1 leading source of information, more than newspapers or radio.” In many smaller markets, however, that is the case. Knight’s report — which feels increasingly urgent in light of the debate over Sinclair’s impending acquisition of Tribune Media — makes the case that local TV may not be shrinking so much as spreading out. Here are some highlights from Knight’s four-part report, “Local TV news and the new media landscape,” which was written by the University of Mississippi’s Debora Wenger and Hofstra’s Bob Papper. — A brief overall state of affairs: There are currently 703 local TV newsrooms across the U.S., producing local news for 1,072 stations. Consolidation (see: Sinclair) is increasing, leading to cost savings. Retransmission fees (“the money cable, satellite, and telecommunications carriers pay to broadcasters to include those local channels on the cable or satellite systems”) have gone from close to zero 10 years ago to 24 percent of station revenue today, and that’s expected to rise by at least 50 percent over the next five years. Add in advertising revenue from a “seemingly endless political cycle” and it’s clear local TV is doing well. Common wisdom says the local TV news audience is shrinking. That’s almost certainly true, but it’s more complicated and less defined than that. It’s never been clear whether the aggregate local TV news audience has shrunk versus simply spread out as on-air news choices have expanded. While the audience for any given program (or specific time slot) has generally fallen, there’s also 90 percent more local news being broadcast today than 20 years ago. And viewers can find that local news on 39 percent more stations than 20 years ago. Definitively answering the question requires a complete examination of ALL local TV news over time in a reasonably wide sampling of markets. No one has done that — or even attempted it as far as we can determine. We were not able to do that either, but we were able to look at two markets — one on the East Coast and one on West — both in the middle range of the U.S. population (markets 20 to 30). We looked specifically at audience size for local news at all stations in all time periods over the last dozen years — from 2004 to 2016. In both cases, there was a drop in overall local TV news audience. At the East Coast market, the total ratings for local TV news fell by 12.4 percent from 2004 to 2016; at the West Coast market, the total ratings for local TV news fell by 9.8 percent. That’s ratings — the percentage of viewing of all possible viewers. The drop in the number of people viewing was lower. In the East Coast market, the number of adults, 18+, watching local TV news fell by 8.9 percent. In the West Coast market, the drop was 4.3 percent. The point is the drop in audience was real, but the data suggests that it may not be nearly as extensive a drop as has been widely reported. 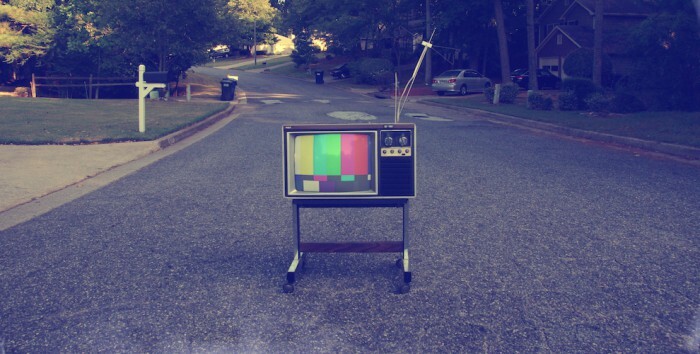 “If you believe the misconception that local [TV] news has fallen out of favor, think again. In actuality, news viewing increased from 2015 to 2016 and has shown continued growth in early 2017,” according to a recently-released 2017 Local Watch Report from Nielsen. Of the 22 markets initially analyzed (excluding New York City and Washington, DC with its three national newspapers), newspaper websites came out on top in 14 of the markets, and television websites came out on top in eight. The bottom line is that the primary suppliers of local news online remain newspapers (primarily core city dailies) and television stations (primarily the big four network affiliates). While newspapers have a clear edge in supplying online news in the very largest markets, newspaper websites appear to be running behind TV websites in most of the markets outside of the top 25. Take WBAY-TV in Green Bay, Wisconsin: Five years ago, the local newspaper was Green Bay’s top website; now, WBAY-TV is. — Local TV stations are relying heavily on Facebook. It’s “the dominant component of most local TV newsrooms’ [digital] strategies,” the authors write. In 2015, researchers for the market research and strategy company SmithGeiger analyzed social media and ratings data and found a “very strong relationship between social engagement and positive audience behaviors for broadcasters. Social activity by local audiences appears to follow TV ratings in all markets in the morning, then by early afternoon social ratings start to precede the TV ratings, peaking in the evening.” In other words, content from morning newscasts seems to prompt social media engagement, and social media engagement throughout the day seems to prompt newscast viewing. For this research project, we utilized Facebook data for nine of the stations in our list of top performers. The results reveal a clear relationship between high levels of Facebook engagement, as defined by total actions, and higher newscast ratings. When we examine the relationship between viewership and Facebook actions, without controlling for anything else, we find a significantly positive relationship between the two. These findings support what WLS News director Jennifer Graves and others have long suspected. “We’ve seen anecdotally that, when there is a post that talks about unique content at 10 p.m., we see a bump in newscast ratings. We just can’t prove it’s a cause and effect,” Graves said. Of course, even if social media isn’t cannibalizing viewership, there are other reasons not to be overly reliant on platforms like Facebook. Most of Knight’s research and interviews took place before Facebook changed the News Feed algorithm. That change could hit news stations hard — then again, Facebook’s renewed focus on local news might give them a boost. Knight’s full report is here. Photo by Steve Harwood used under a Creative Commons license. POSTED April 5, 2018, 6 a.m.
Owen, Laura Hazard. "“Thank God you’re not in newspapers”: Local TV is doing way better than you’d think, a new report suggests." Nieman Journalism Lab. Nieman Foundation for Journalism at Harvard, 5 Apr. 2018. Web. 23 Apr. 2019. Owen, Laura Hazard. "“Thank God you’re not in newspapers”: Local TV is doing way better than you’d think, a new report suggests." Nieman Journalism Lab. Last modified April 5, 2018. Accessed April 23, 2019. https://www.niemanlab.org/2018/04/thank-god-youre-not-in-newspapers-local-tv-is-doing-way-better-than-youd-think-a-new-report-suggests/.